They have a variety of okowa rice, and I chose the unagi okowa rice. 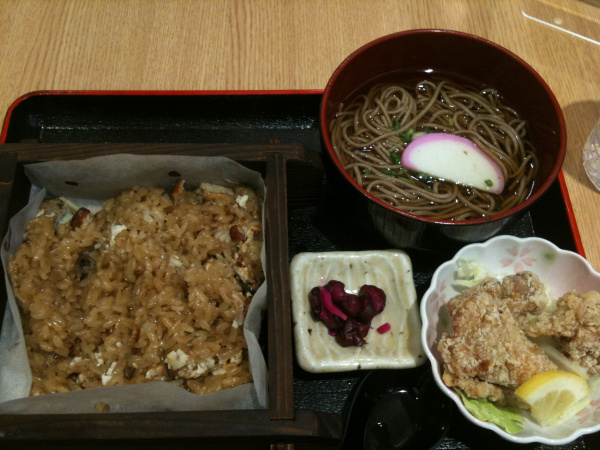 My set comes with a bowl of soba and chicken karaage. Maybe my tastebuds had changed due to pregnancy and I think the okowa rice is alittle too plain. 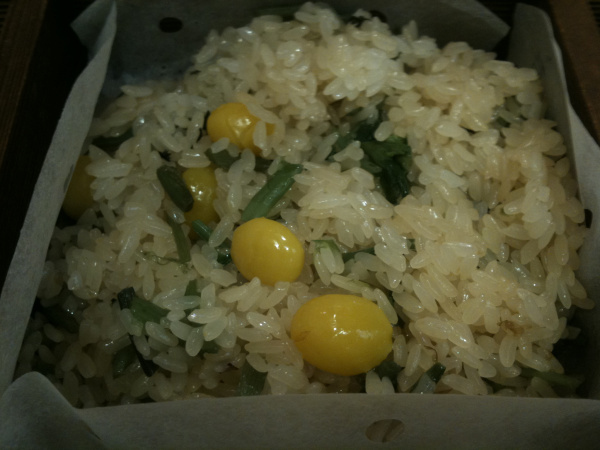 It’s not like the chinese glutinous rice which is more fragrant. The chicken karaage is badly done and dear thinks the soba is over-cooked. 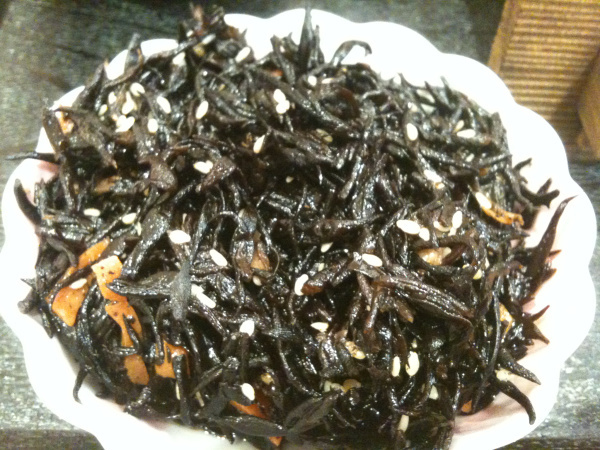 Lucky dear also order the Hijiki Itame (stir fried seaweed) and when it’s mixed together with my okowa rice, it tasted better.